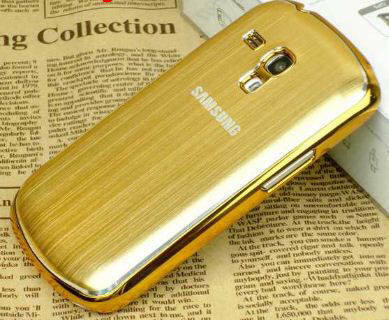 According to a Chinese website, Samsung is working on using metal chassis for the new Galaxy S5. There have been decent number of occasions, pointed out on the website, which indicated the possible shift to the metal chassis for the new Galaxy S5. Samsung is considering to start producing these metal chassis by the end of this year and will finalize the production units by the end of Q1, 2014. However, it is also said that Samsung made a sample device with the metal chassis early this year and sent it to Vietnam for testing and quality assurance. It seems that Samsung has gotten positive reply from the testing of the demo device and is now considering a switch to the metal chassis for the new Galaxy device. Metal chassis does not mean an end to the plastic generation. We have already seen about the problems a metal chassis can create for the device. Remember the “Death Grip” on iPhone 4? It was caused due to the metal chassis which blocked the signals and antenna reception. Word on the internet is that Samsung is still testing the concept like whether to use removable batteries or expandable storage with the new metal chassis. It is also said that if the testing goes successfully, Samsung might shift to metal chassis for its high end devices and use plastic for the rest of the devices. Using metal can also increase production cost by a slight margin. Increase in the price of material as well as the machinery to cut and shape it to the required size should also be considered since it will reflect on the actual price tag of the device. It is still very early to talk more about the Samsung Galaxy S5. We have also heard that Galaxy S5 will have a 16MP camera but let’s not jump to conclusions here. The new Galaxy device would at least a year far from now and these are just preliminary assumptions that we have gathered from the internet and the Samsung activity over the past few days. Samsung Galaxy s5? are you serious! Iam really waiting for new samsung smartphone as i didn’t upgraded my current mobile.